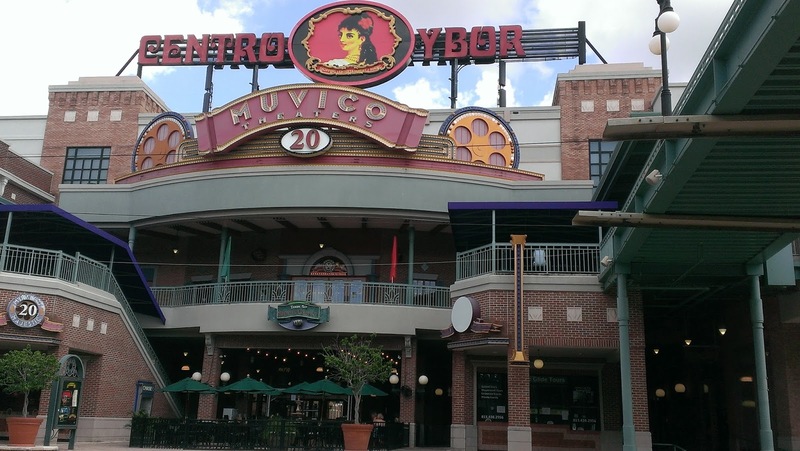 In the Centro Ybor entertainment complex, this brewery and brewpub has a fun atmosphere. Inside seating and an outside patio bar. The brewhouse is in the restaurant area. Now, there are quite a few house brews here, and they also have guest taps. They had special IPAs on tap from IPA Day. Loved the menu, and they play some kickin' music. I was kinda jammin' in my seat. Nice Blonde Ale, and yeah, I agree that it's "smooth, crisp." There's a style for everyone here. Especially liked the Jack the Quaffer porter, too. The motto is "Beer Is Your Friend," and, yes, TBBCo, it definitely is! Just a really cool place to sit, eat and drink! And, yeah, another pint glass added to the collection. I first had Florida Ave Blueberry at 595 Tap and Tavern in South Florida in May (after being tweeted), about 5 minutes after they tapped it. One of my favorites. So, like they say, "gotta have a Florida Ave" and had to try it again straight from the source! Did not disappoint! This blueberry is a perfect blend - not too much berry, and a nice complement to the "beer." The tap room is fun, with sofas, tables, picnic tables, hightops, and a bar. Friendly staff, too! They also brew an ale, IPA, and brown. 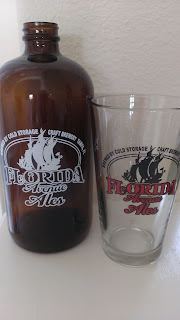 And, yes, another pint glass to the collection, and a growler, too! Recommended from some friends for the food and beer selection. 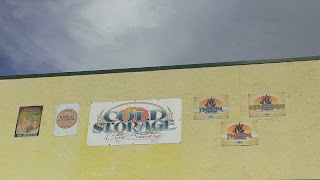 Located at 13150 N. Dale Mabry, in the Carrollwood area, in a shopping center called Village Center. Easy enough to get there, but there's some construction going on in the center. So, for us foreigners, it took a little maneuvering to get to the front door. No problem, after turning around a couple of times, we just parked on the side and walked to the rear of the center. The place is under renovation, but you can tell it will be killer when it's done - new furniture arriving, etc. Pool tables and TVs, a pool hall/bar feel. There is an outside covered patio area. 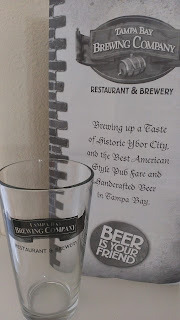 So, let's get to the beer - about 50 taps, with an impressive selection of craft, including a number of Florida brews. Score there! Menu is described as Cajun and creole, also burgers and po'boys. Now, there are some really interesting food items here, (ever heard of crab beignets? melt in your mouth doughnuts filled with crabmeat), and they're definitely worth the try. The shrimp po'boy was awesome! Lots of shrimp, and so tasty. The burger looked excellent, and the review was nothing short of spectacular. So, it's a friendly, ultra-casual place, with crazy-good food and beer menus. Yeah, I'd go back! Billed as having 275+ beers, food from at least 22 vendors, and a "wild" atmosphere at Tampa's Lowry Park Zoo, this fest caught my eye a while ago - an excuse to visit here, if I ever heard one. Ticket price included unlimited beer samples, unlimited food servings (generally appetizer portions, which were very good quality), and several musical performances. A number of Florida breweries were represented, including Florida Beer Company, Cigar City Brewing, Holy Mackerel, Saint Somewhere Brewing, Southern Brewing Supply, Saint Pete Brew, Pensacola Bay Brewing, Tampa Bay Brewing Co., Cold Storage (Florida Ave Ales), Bold City Brewery, Tampa Bay Beers. Parking seemed plentiful, from what I could tell, and we found a spot in the main lot without too much effort. VIP tickets were also sold (and sold out), which allowed early entry, additional food choices, and an air-conditioned place to hang out. Four separate areas set up, and tent after tent of delicious brews. It was non-stop. Something for everyone: many favorites, some unknowns, new flavors. I didn't keep track of everything I tried. 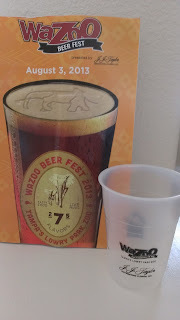 They gave out nice brochures (18-page brochures) which listed all the vendors and beers. Yeah, it was hot, it rained just as the fest started (then stopped), but it was a great night. This was no secret--the place was quite crowded. Still, the attendees were quite civilized and well-behaved. Parts of the zoo were closed, probably a good thing for the residents (i.e., animals). But, those emus looked like they were getting a bit amorous, and they probably wanted to be left alone. Title sponsor was J.J. Taylor Distributing, which did an outstanding piece of work. Main Stage Sponsor World of Beer had a presence throughout the grounds, and I even got a free koozie at the "Wheel." Imagine that. Applause to all the sponsors and vendors. This fest is one to visit next year. Mark your calendars and get a room. ©2013 Brew Nymph. All rights reserved.